Getting funds out of the cryptocurrency economy into easily spendable fiat currency is a challenge that has encountered many road-bumps, including earlier this year, when a number of promising crypto to credit card projects lost their ability to use the Visa network. 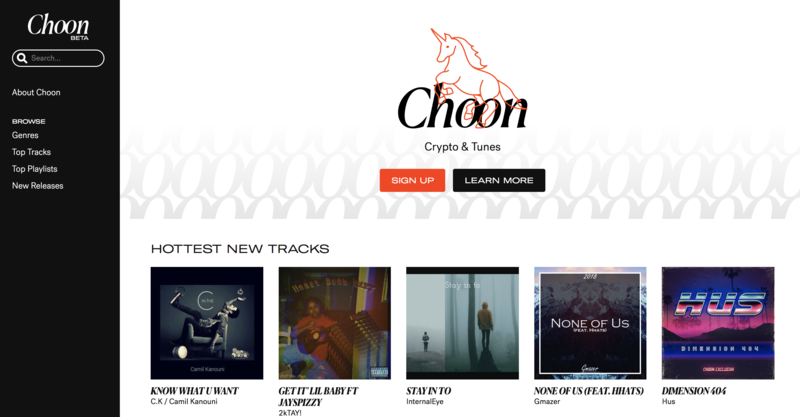 Choon is a music streaming service similar to SoundCloud that utilizes the Ethereum blockchain and smart contracts to create a more fair distribution of streaming revenues to artists and their collaborators. It's still early days but as we both develop our platforms we're going to be working together to make it easy for artists to take the NOTES that they've earned as people stream their music and convert them to gift cards and eventually cash. With our gift card website and API, users can send us the cryptocurrency or token of their choice and immediately exchange it for gift cards at hundreds of different merchants. Choon is unique in the cryptocurrency space in that they have many users who aren’t familiar with the intricacies of moving around funds in the blockchain economy. For those users, the original process of "cashing out" NOTES will be laborious, requiring ETH wallets, Metamask / Mist and at least one exchange account, possibly two, which often come with long-winded verification processes. Later this year when NOTES are liquid our solution will allow Choon's artists to send NOTES from their Choon wallets to us and immediately receive gift-vouchers with no need for browser plugins, ETH wallets, or exchange accounts.